Our Arabic translators have years of experience. We have translated numerous texts into Arabic for private persons and authorities throughout the world. Our Arabic translators have plenty of experience. They generally translate into High Arabic (the Arabic spoken in Saudi Arabia). This is the written Arabic that is acceptable everywhere in the Arabic speaking world. (Algeria, Egypt, Iraq, Kuwait, Lebanon, Libya, Morocco, Oman and Saudi Arabia). We generally charge less for an English-Arabic translation than other agencies. This is because we collaborate with a steady group of translators who translate large amounts of text into Arabic each year. We will adjust the price accordingly for larger texts or for documents that need to be certified. You will always receive a quote from us first. How do I request a quote for an Arabic translation? You can also easily request a quote for an English-Arabic translation by completing the form on the right. Step 1. 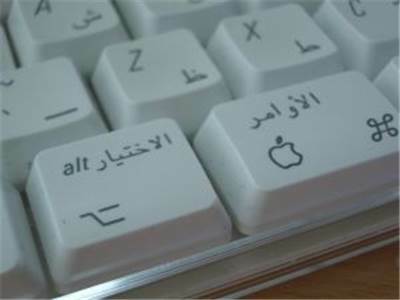 Specify the source (current) language of your text and select “Arabic” as the target language. Step 2. Fill in your name, e-mail address and other information. Step 3. Select the file on your hard drive that you would like to have translated from English into Arabic. Or, upload an image of the document. Your file will then be sent to the project managers at our translation office. The information you entered will only be used for the purpose of creating an offer. If you have more than one file that needs to be translated into Arabic, you can also your text directly to us.